WHO ARE THE SHILOH SACRED HARP SINGERS? We're a small group of singers who are actively preserving the shape-note musical tradition in Northwest Arkansas. We are dedicated to promoting the historical tradition of Sacred Harp music. Anybody from the Arkansas, Missouri, Oklahoma or Kansas areas (or anywhere else) is cordially invited to join us for our monthly Sacred Harp singings and other related events. 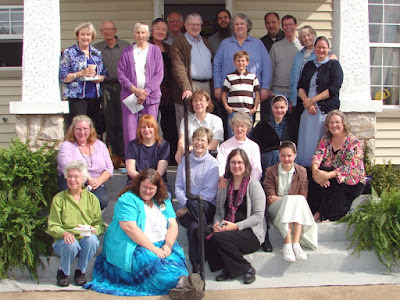 Singers and guests who participated at the October 22, 2012, Northwest Arkansas Sacred Harp Singing Convention at Mt. Comfort Presbyterian Church in Fayetteville, AR. Anyone, from a beginner to an experienced Sacred Harp singer, is welcome at our meetings. Even if you'd prefer just to listen and not sing, feel free to come by and see us! We'd love to meet you, and we're always very glad to have visitors. We meet monthly at the Shiloh Museum of Ozark History, located at the corner of 15th and Johnson Streets in Springdale, Arkansas. There are various buildings on the museum grounds; we sing in the general store. See the "links" section below to visit the website of this museum, which has so graciously helped us promote the rich cultural heritage of Sacred Harp singing. We sing Sacred Harp music. If you're unfamiliar with Sacred Harp music, please check our FAQ for more information. This is a choral music tradition with a very long and distinguished history. Generally, we meet on the 2nd Sunday of every month at 1:30 PM. There have been a few exceptions to this schedule (such as making allowances for the Missouri State Singing Convention in March and for special holidays). However, we usually meet on the 2nd Sunday. If you should have any questions about the meeting time, just send us an email and we'll try to get an answer to you as soon as possible. WHERE CAN I FIND CURRENT ANNOUNCEMENTS? Any news, special events and meeting changes will be found on our home page. 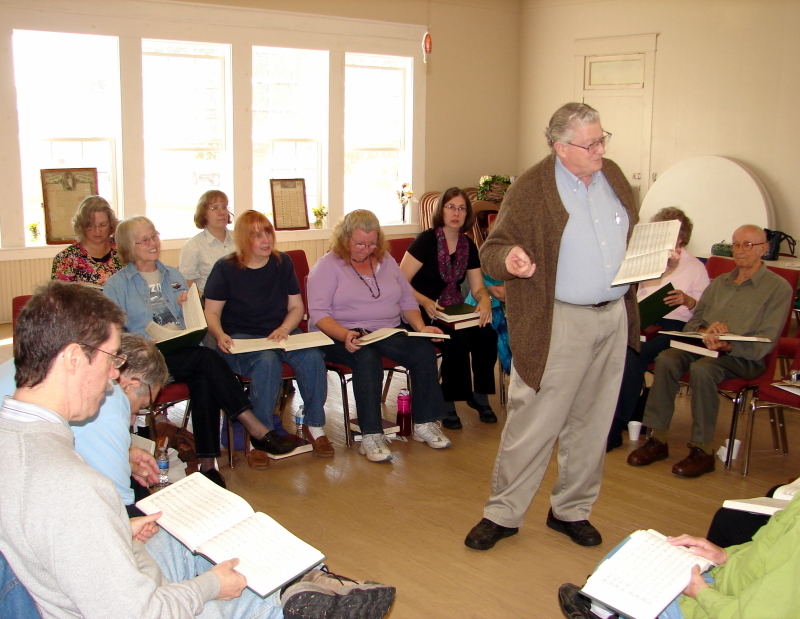 HOW CAN I LEARN MORE ABOUT SACRED HARP MUSIC? Check out the FAQ (Frequently Asked Questions) tab at the top of the page. Also, please check our links in the sidebar, which you may find useful.